Matilde was born in Rome in 1956 and lives in Rome and in the Umbrian countryside. She is married with Giorgio Crisafi. She did her Political Science bachelor degree and master (full marks 110/110) at University of Rome "La Sapienza". Before founding Live in it, she worked for 14 years in marketing and public relations for the Italian computer company: Olivetti. Together with her cousin Letizia Bucci Casari she founded Live in it in 2004. 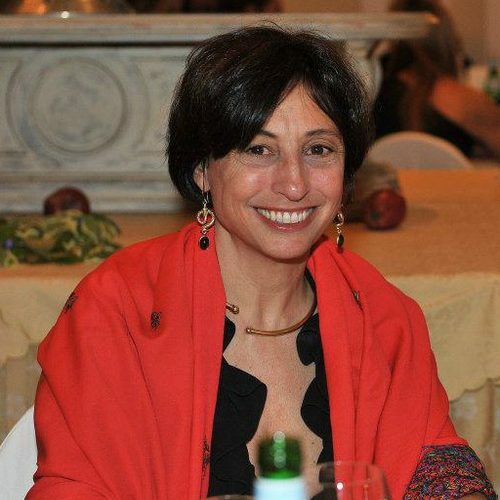 She is CEO of the company together with Violante Pasolini. She speaks English, French and some Spanish. Villa Trullo Ramachandra: a unique ” problem solver” second home. The building was the house of arch. Borromini, the apartment is located at the 3rd and top floor, has high coffred and painted ceilings, decorated doors, huge spaces and rooms. In the building there is concierge and lift and garage.